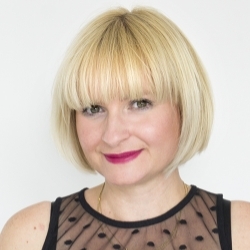 September is a month of transition – the summer is ending, the school year is starting, autumn is in the air, and business at Skyrise is rolling. We’d like to share some of the things that happened in the company this past month and we also have something exciting to offer below. Continue reading to find out more! 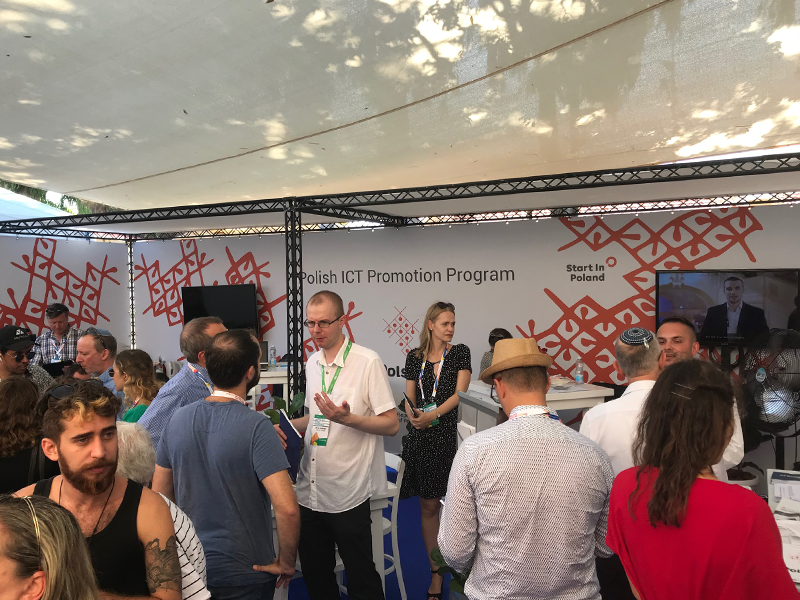 As a member of the Polish ICT promotion program, Skyrise was invited to participate in the DLD Tel Aviv Innovation Festival and Digital Conference at the beginning of the month. 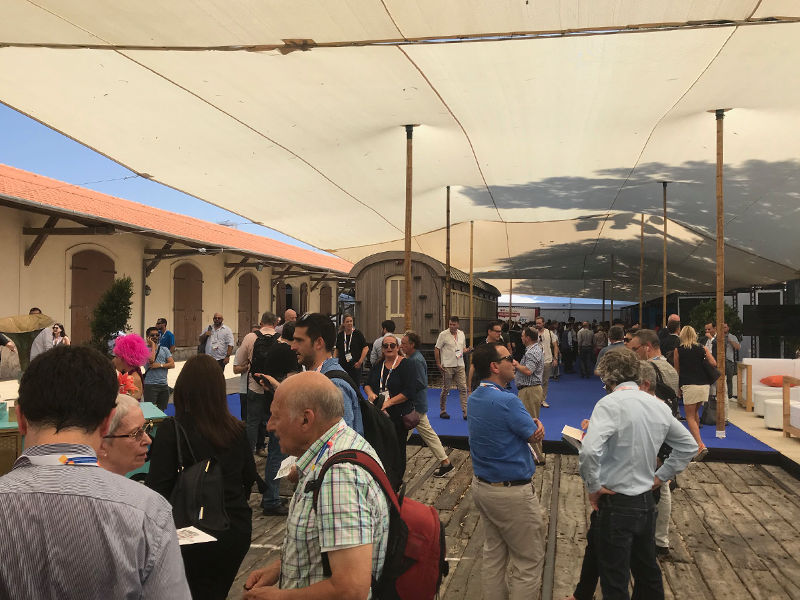 The event was a unique opportunity to meet with the CEOs and founders of some of the largest technological companies in the world, as well as exchange experiences with the numerous startups that participated. We learned about the future of technology, how it can improve the community, and gained valuable insight about working in this sector of business. We look forward to participating in events like this in the future! 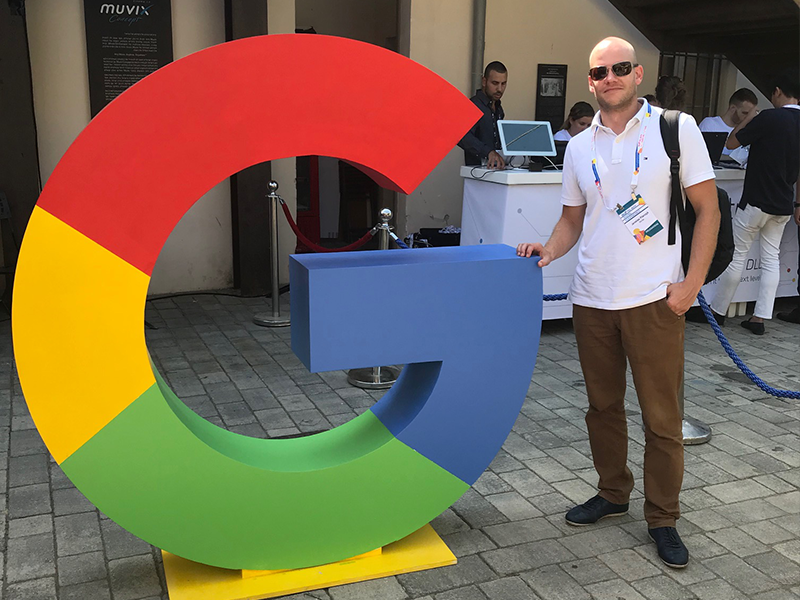 Jaroslaw Pilarczyk our CEO, DLD Tel Aviv Innovation Festival and Digital Conference. 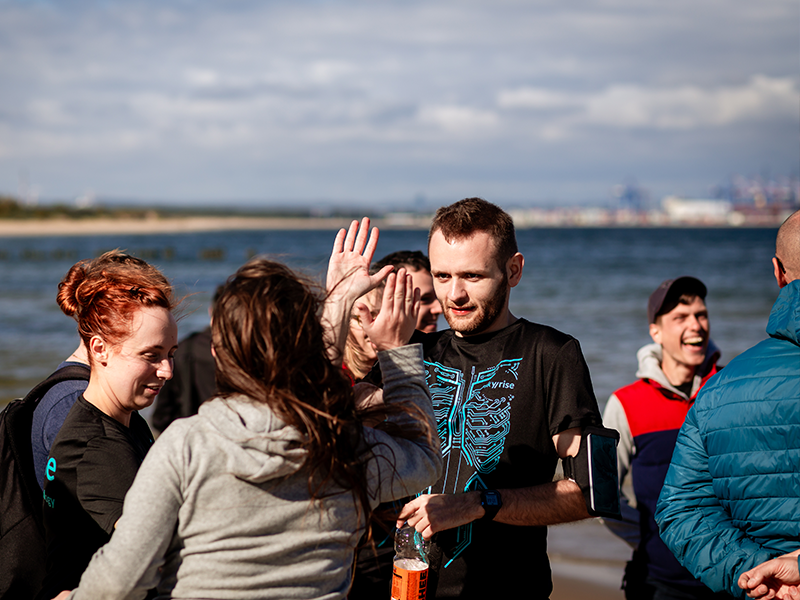 This month our team from Katowice took a trip up North to spend the weekend with our team in Gdańsk. As a group, we had the opportunity to participate in multiple activities. One of them was a sports competition where the goal was to register 250 km in Endomondo as a team by the end of the day. It was a huge success and we managed to run or walk over 300 km together! There were also team building workshops that helped explain how the market works, as well as illustrate team productivity. We had a lot of fun, closing the weekend with a barbecue and a party. At Skyrise we embody our motto of Human&Technology by cooperating with our clients on projects, and creating innovative, high-quality software with the user in mind. If you enjoy working with modern technologies in a creative environment, find the idea of a flat structure company appealing, or are eager to learn something new alongside us, this job might be just for you! We have a lot to offer in exchange, but first and foremost we have an amazing team of people who love spending time together and are open to welcoming new members. For more information, click here to check out the dedicated jobs page and available offers. We look forward to hearing from you! Our Travel Meetings have continued, even though the summer vacation has come to an end. 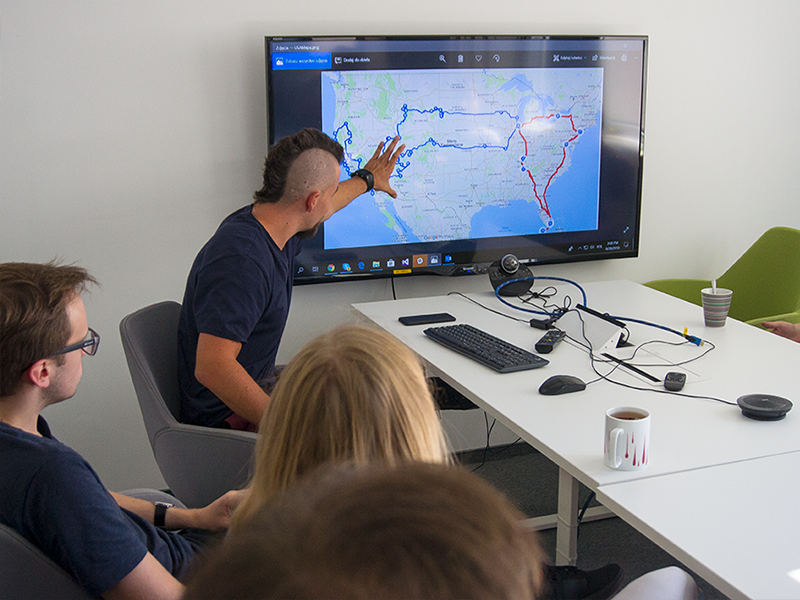 This month we had the opportunity to hear Filip’s fascinating story about his once in a lifetime road trip around the United States. He actually took 3 months off of work to travel from coast to coast, and managed to visit nearly 30 states and multiple national parks along the way. He shared a lot of amazing photos with us and it was an inspiring adventure to hear about! 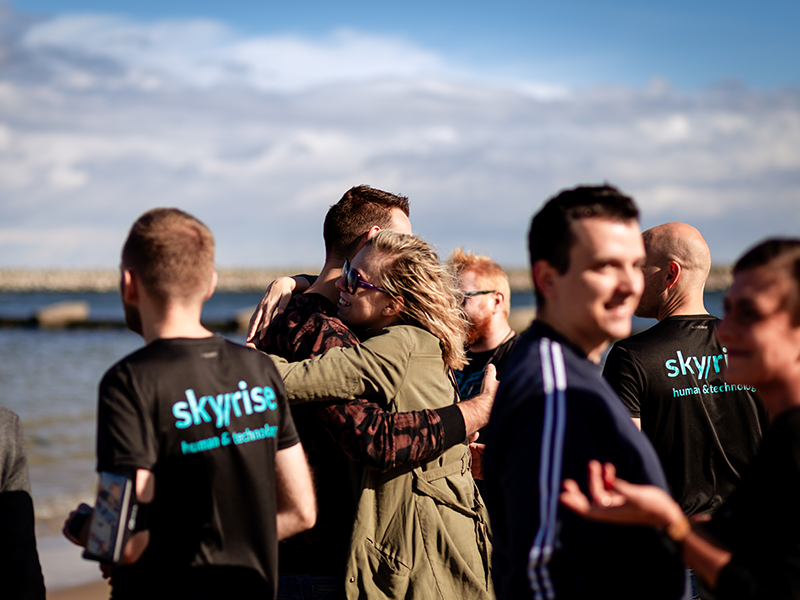 If you want to learn more about our company culture, as well as hear about real-life experiences from some of our colleagues, check out our newest series of “Working for Skyrise” interviews. 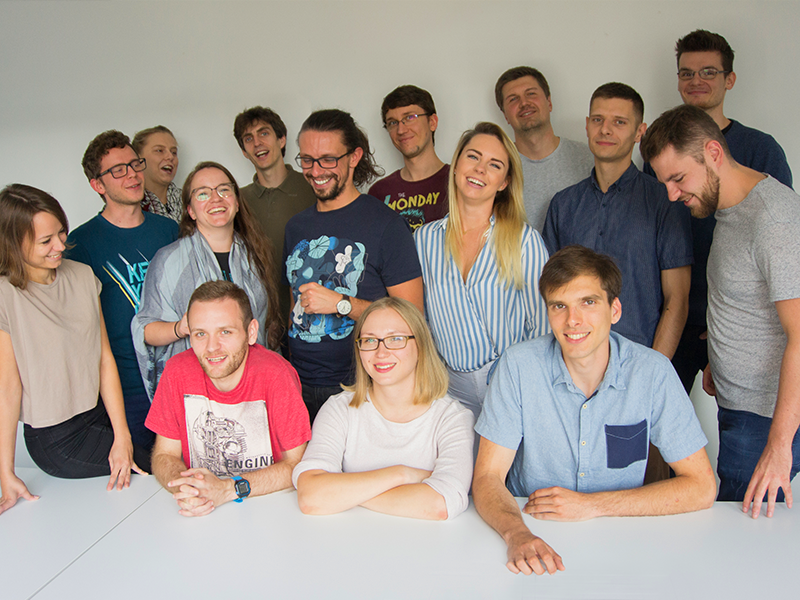 There you can read about Tomasz’s experiences with trust issues in the workplace, Anna’s perspective as a woman in IT, and Przemek’s story about the past and future of the company. They have a lot of valuable insight to share! Thanks for your interest in our latest news and stay tuned for next month’s recap!